hd00:10Spain. The cathedral of Saint Maria in Toledo. Timelapse. 4k00:10The cathedral Saint of Maria in Toledo. Time lapse. Spain. 4k00:10Aerial view above Prague town houses & red roof buildings to Prague castle in distant skyline horizon. 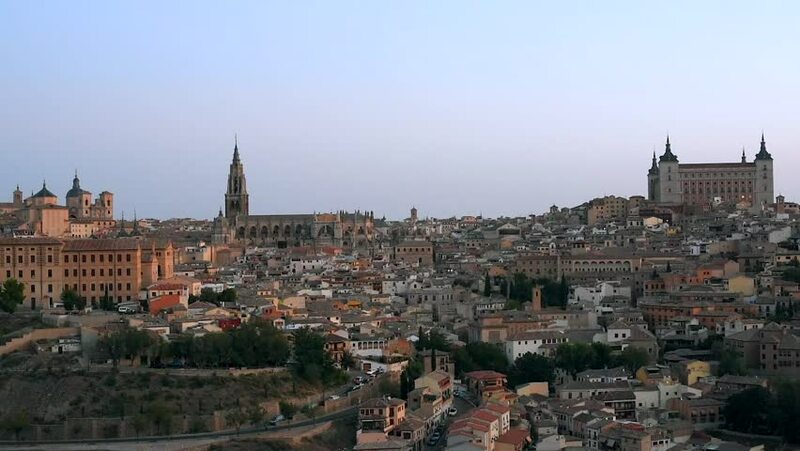 hd00:10Toledo, Spain old town cityscape at the Alcazar, realtime video with panning camera motion.